Less than a day after it launched in the US, the Motorola Moto Z2 Play is already available at discounted rates in the country. Best Buy has the device listed on its website for zero-down + $14.91/month for 2 years. That is a discount of $50 over the regular $17/month on contract offer. 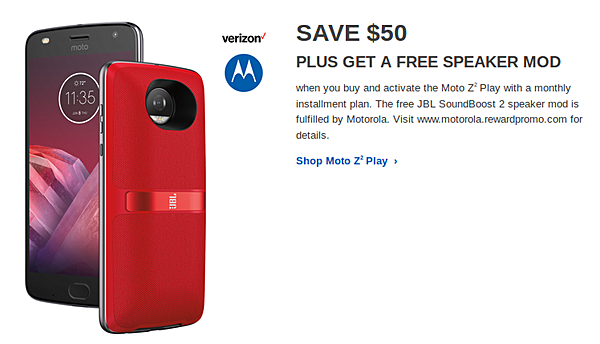 It's worth mentioning that the freebie offer - JBL SoundBoost 2 MotoMod with each purchase - still holds. For more information, head to the Source link below. Discount the unlocked model and we'll talk.